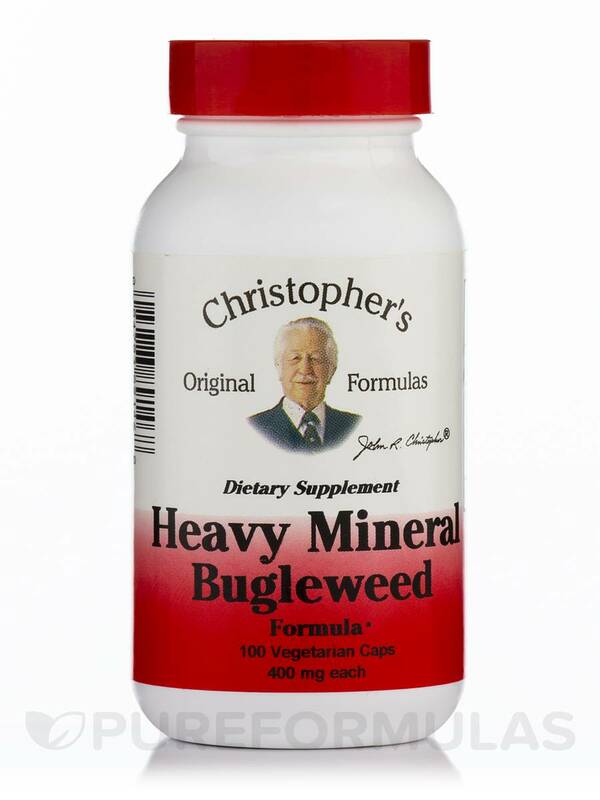 Heavy Mineral Bugleweed Formula 400 mg is a detoxification supplement that features ingredients like wildcrafted bugleweed herb‚ organic cilantro leaf‚ and more. 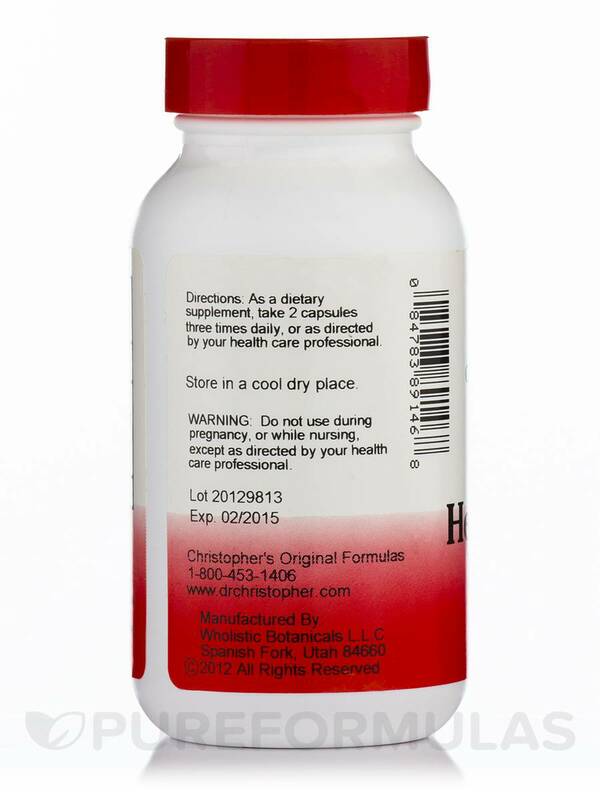 This Christopher’s Original Formulas product is designed specifically with heavy metals in mind. Everyday‚ we are exposed to more and more heavy metals at a much higher rate than previously seen before. 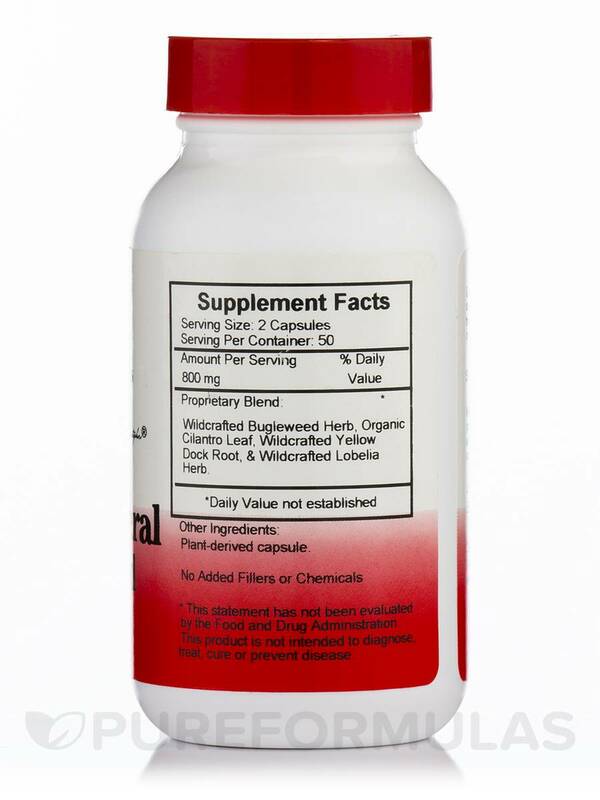 Some proponents of homeopathic products suggest the possibility that certain natural ingredients (like the ones found in this Christopher’s Original Formulas product) may help our body’s natural processes as they attempt to detoxify themselves of said heavy metals. Wildcrafted Bugleweed Herb‚ Organic Cilantro leaf‚ Wildcrafted Yellow Dock Root‚ & Wildcrafted Lobelia Herb.